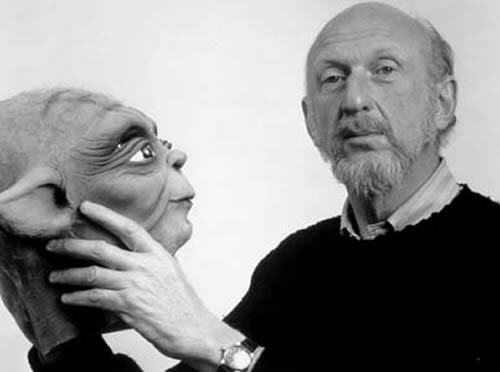 Irvin Kershner, the director of the most watchable early Star Wars saga effort, The Empire Strikes Back (1980), has died in Los Angeles “after a long illness” according to Agence France-Presse. Kershner was 87. What made me enjoy The Empire Strikes Back quite a bit more than either George Lucas' Star Wars (1977) or Richard Marquand's Return of the Jedi? I'd say it was of combination of various elements: great special effects (which the other two movies also have), combined with Kershner's stylish, well-paced direction, and a more mature screenplay credited to Lawrence Kasdan and Leigh Brackett. In other words, The Empire Strikes Back was action-packed mainstream fun, but without being (overly) juvenile. Long before his sci-fi foray, Kershner directed, among others, Don Murray in Hoodlum Priest (1961), the story of a priest dealing with street gangs and the director's first major assignment; Sean Connery, Joanne Woodward, and Jean Seberg in the comedy A Fine Madness (1964); and George Segal and Eva Marie Saint in the well-respected (but little seen) marriage-on-the-rocks comedy-drama Loving (1970). Also: what is perhaps Barbra Streisand's least-known effort, the comedy Up the Sandbox (1972); The Return of a Man Called Horse (1976), which failed to repeat the success of Elliot Silverstein's 1970 Western classic, but that is notable as blacklistee Gale Sondergaard's first Hollywood movie since 1949; and Never Say Never Again (1983), Sean Connery's last and most tedious James Bond foray. Of the few Irvin Kershner movies I've seen, my favorite is the widely panned Eyes of Laura Mars (1978), in which Faye Dunaway plays a photographer (Kershner himself used to be one) who can see through the eyes of a serial killer.